Mount the FXC13V 4MP Outdoor Wi-Fi Bullet Camera from Lorex Technology outdoors to monitor your property during the day and at night. This camera records 4MP video and saves it locally to a microSD card (16GB included). It features a lens with a wide-angle 155° field of view to view large areas. 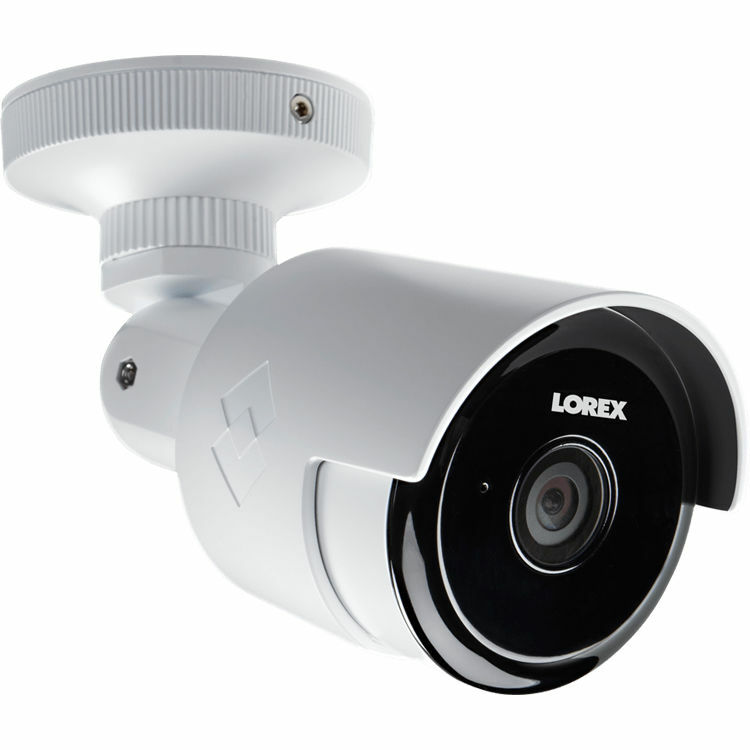 Four IR LEDs provide up to 60' of night vision. Color Night Vision allows the camera to produce color images in low-light scenes, providing greater detail. Keep an eye on your home from anywhere you have Internet access with the free Lorex Secure app for iOS and Android. Simply download the app and customize settings, view a live video feed, and hear and speak with visitors using the built-in speaker and microphone on the camera. Wi-Fi connectivity makes setup and customization easy. With the free Lorex Cloud subscription, you get two days of video history, 10GB of cloud storage, and three 8-hour RapidRecap videos from up to two days previous. The camera is IP66 rated for outdoor use.